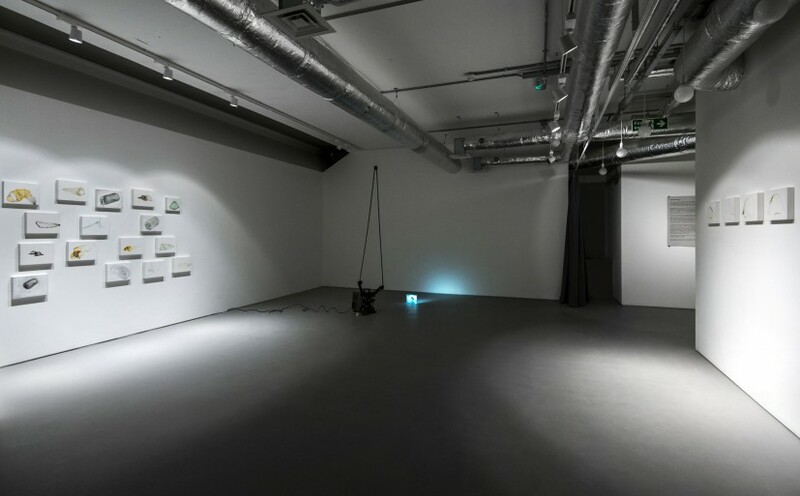 Developed during a residency at Meantime project space in Cheltenham, Bore Song is a 28second 16mm film looped from projector to ceiling projecting onto float glass. It relates to a spectacular Gloucestershire phenomenon called ‘The Severn Bore’, a tidal wave that surges up the River Severn. Through the medium of film, Bore Song attempts to describe distance, time and emotion in physical terms. Framed by water, a young woman kneels at the edge of the river. As the tidal wave reaches her, she opens her mouth to sing, turning away as the wave pulls across the water’s surface, swallowing her reflection. Her voice holds a single piercing note that rises over the sound of the wave. Bore Song is a fragment from a body of work made by Fairclough along the banks of the Severn over a three year period. It sits closely with two other works made in the same year: the film Song of Grief and sound recording Body of Water. They take inspiration from Alice Oswald’s two collections of poetry: A Sleepwalk on the Severn (2009), a meditation on moonlight; and Dart (2002), where the poems have been composed of notes and reflections from those who have encountered the River Dart creating a soundmap or songline of the river. Mirroring Oswald’s poetic elegy, Fairclough takes the river to represent ideas of locality and journeying. She often cycles by moonlight to the Severn and sleeps along the riverbank. This journeying becomes both gesture and sustenance for the drawings, field recordings and performance films that follow, where the river comes to function as a metaphor for grief. 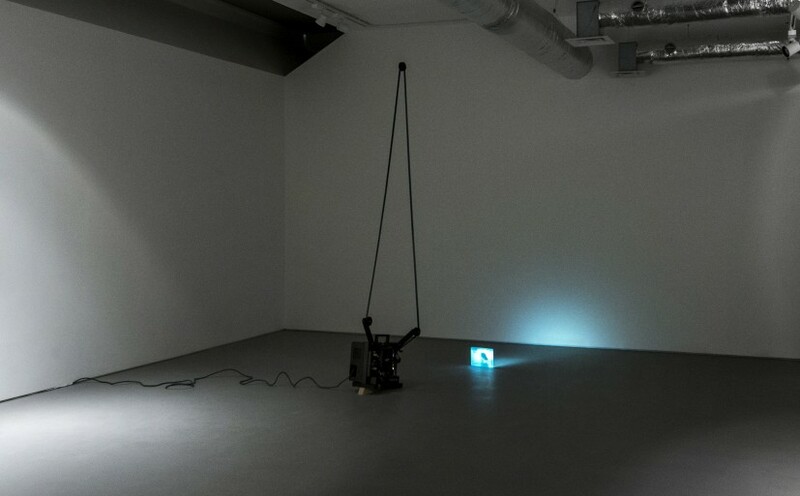 The installation of Bore Song, where the 16mm film loops beyond the projector, forefronts the sculptural aspect of the work, which carries with it a precarious and contingent value. Bore Song was selected by Cheltenham Art Gallery & Museum for its connection to the idea of landscape, as both an internal and external territory, as well as to the specific topography of Gloucestershire. We are delighted that the artist has donated three drawings, Refuge and Protect (shown as a pair, both 2004) and Refuge (2011) to accompany the film. 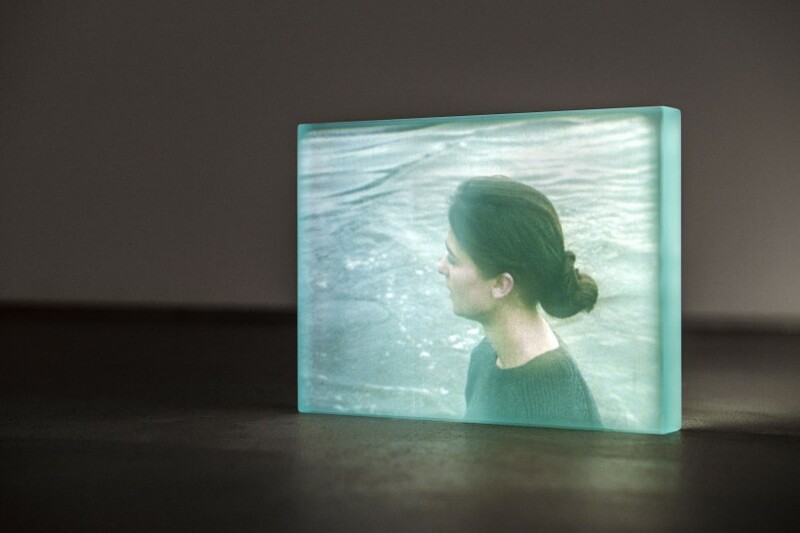 Louisa Fairclough was born in 1972, and lives and works in Bristol. She studied at the Slade School of Fine Art, graduating in 2000. Shows include Ground Truth, a solo show at Danielle Arnaud, London (Nov/Dec 2011) which then went onto Ha gamle prestegard, Norway (Jun-Aug 2012); Song of Grief – a residency at Meantime project space, Cheltenham (Feb/May 2011), Jerwood Drawing Prize 2011, Jerwood Space, London, Sleeping on the Severn selected by Tom Trevor for the Darbyshire Award Show, Stroud (2010); Super 8 Station at the Arnolfini, Bristol (2010), New Work UK: The Sensible Stage at the Whitechapel Gallery, London (2008); Meet, produced by Picture This and shown at ROOM, Bristol and Bath Film Festival (2006). She has also received numerous awards, including UK Film Council, Elephant Trust and Arts Council funding (2006/7); Sugarhouse Studio Residency awarded by ACME Studios (2002), Boise Travel Scholarship (2002), Prospects 2001 London Regional Winner selected by Sacha Craddock (2001), Slade Duveen Travel Award (2001), ACAVA First Base Studio Award (2000). Bore Song was supported by Danielle Arnaud. A text by Colin Glen, Louisa Fairclough: Recent Drawings, has been co-commissioned by the Contemporary Art Society and Danielle Arnaud and is available to download here.